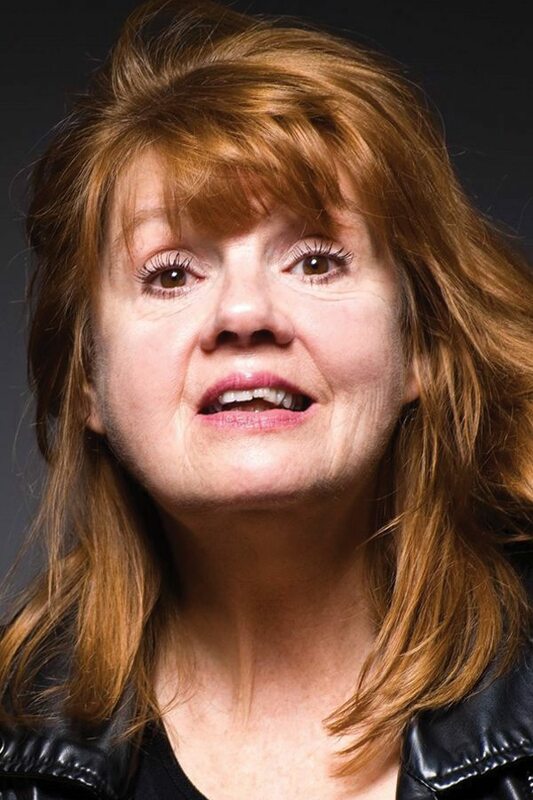 Annie Golden (Annie) was last seen by Barrington audiences as a guest soloist for composer Niko Tsakalakas at Mr. Finn’s Cabaret in June. Annie’s first time up at Barrington Stage Company was with her dear friend, composer Joe Iconis, in The Black Suits. Miss Golden returns to the St. Germain Stage for Mr. Iconis’ world debut of Broadway Bounty Hunter! Annie Golden may look familiar to you since she has played a role she originated for Netflix’s Orange Is The New Black for four seasons now and has taken a leave from shooting season five to join her friends and collaborators here in the Berkshires. Come September it is back behind bars! 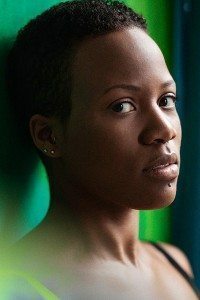 Kourtney Keitt (Ensemble) is thrilled to announce her regional theatre debut here at Barrington Stage. 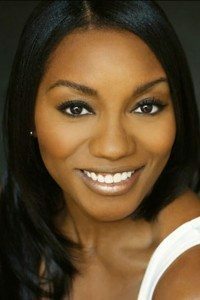 She is a proud graduate from Marymount Manhattan College with a degree in psychology, as well as dance. 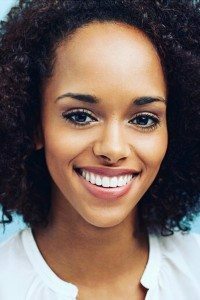 She has performed at Madison Square Garden as a New York Knicks City Dancer, various shows on Royal Caribbean Cruises including Hairspray (Dynamite, u/s Little Inez), Warped Tour, and America’s Got Talent. Kourtney is a classically trained ballet dancer who has traded her pointe shoes for sheet music. She is discovering her love for musical theater and very grateful to begin that journey with such an amazing team. Many thanks to her family, friends, vocal coach, and the creators of Broadway Bounty Hunter for giving her a chance to be a part of this creation. 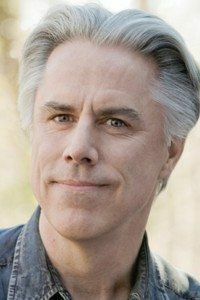 Jeff McCarthy (Mac Roundtree) has enjoyed a relationship of many years with Barrington Stage and is especially proud to be an Associate Artist. His work with Julianne Boyd includes Man Of La Mancha, All My Sons, Sweeney Todd, Follies, Mack & Mabel. In New York: Southern Comfort, Chicago, Urinetown, Side Show, Zorba, Sympathetic Magic, Dream True, Smile, The Grinch Who…, Beauty And The Beast and several others. Other regional with Long Wharf, Arena, The Guthrie, Hartford Stage and many others: Kunstler (playing Off-Broadway February 2016) A Lie Of The Mind, The Front Page, The Price, The Misanthrope, The Underpants, My Fair Lady and hundreds of others. TV: The Good Wife, Schweitzer (title role), Star Trek(S), Designing Women, Law And Order(S), Cheers and many others. Film: Starting Out In The Evening, Robocop 2, Consent, Eve Of Destruction, Cliffhanger and others. 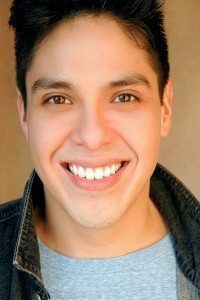 George Salazar (Sparkplug) is thrilled to be making his Barrington debut with BBH! Broadway: Godspell (Circle in the Square). Nat’l tour: Spring Awakening (Second Nat’l). 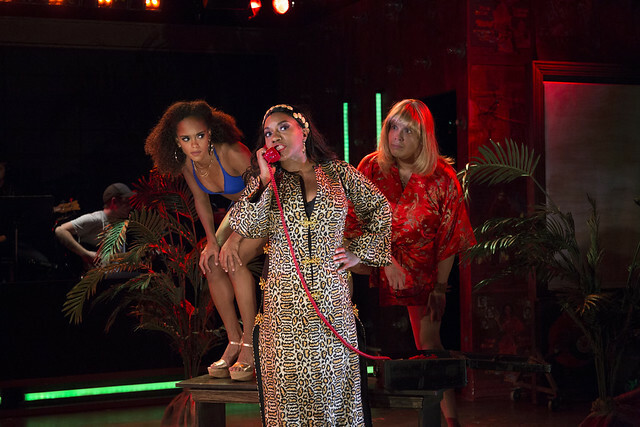 Off-Bway: Here Lies Love (Public); F#%king Up Everything (Elektra). Regional: …Spelling Bee (Bucks County); Be More Chill (Two River). TV: Divorce (HBO). Love and thanks to the entire team, his family, and T! For more info, visit www.thegeorgesalazar.com! 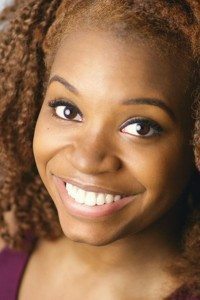 Shannon Tyo (Cortnie Jessica Davies/Indigo/Ensemble) New York: Kentucky, Bikeman: A 9/11 Play, Dear Edwina. 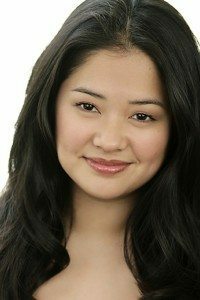 Regional: Kim in Miss Saigon (three times), Marcy Park in The 25th Annual Putnam County Spelling Bee (three times), Crane in The White Snake (just the once). TV: 30 Rock. BFA, Syracuse University. Love to Sarah. Jason Veasey (Filipe/Ensemble) is so ready to be here at Barrington Stage with this show and this group of people!! Broadway: The Lion King. Off-Broadway: For the Last Time, Popesical. National Tour: The Lion King. Other credits include Peter and the Starcatcher, Five Guys Named Moe, Smokey Joes Cafe and The Tempest. Huge thanks to Leah, Joe, Jason, Jeffrey and Lance, The Meg Pantera agency and as always the crew: D, V, S and V.
Scott Watanabe (Shiro Gin) recently completed the Broadway run of Allegiance. He has been featured in the Broadway, Los Angeles, Toronto and Las Vegas productions of The Phantom of the Opera. Broadway: Pacific Overtures. NY Theatre: Kismet, Candide. Regional: Miss Saigon (Engineer), Man of La Mancha (Padre), Annie Get Your Gun (Charlie), Mame (Ito), Candide, Camelot, Pacific Overtures (Kayama), The Prince and Pauper, Merrily We Roll Along (Franklin Shepard), Evita, The Most Happy Fella (Pasquale), Chess, Paint Your Wagon (Jake), The King and I (Lun Tha), Oklahoma!. Zorba, and over 20 productions with the Los Angeles Opera. TV: Law & Order: CI. Julianne Boyd (Director) Julianne Boyd co-founded the Barrington Stage Company (BSC) in January 1995. She has directed many productions at BSC, including the world premieres of Mark St. Germain’s Dancing Lessons, Dr. Ruth, All the Way and Best of Enemies. She also directed the critically acclaimed productions of An Enemy of the People, Much Ado About Nothing, The Crucible, Sweeney Todd: The Demon Barber of Fleet Street, A Streetcar Named Desire, West Side Story, Follies,The Game, Mack and Mabel, Cyrano de Bergerac and The Importance of Being Earnest. In 1997 she directed BSC’s smash hit production of Cabaret, which won six Boston Theatre Critics Awards and transferred to the Hasty Pudding Theatre in Cambridge for an extended run. Ms. Boyd conceived and directed the Broadway musical Eubie!, a show based on the music of Eubie Blake which starred Gregory Hines and garnered three Tony nominations. Ms. Boyd also conceived and directed (along with Joan Micklin Silver) the award-winning (Outer Critics Award, Best Musical) Off Broadway musical revue A…My Name Is Alice and its sequel A…My Name Is Still Alice. She has worked extensively in New York and in regional theatres, including the Old Globe Theatre, the McCarter Theatre, La Jolla Playhouse, the Coconut Grove Playhouse and Syracuse Stage. From 1992 to 1998 Ms. Boyd served as President of the Society of Stage Directors and Choreographers, the national union representing professional directors and choreographers in the U.S.
Joe Iconis (Book, Music & Lyrics) is a musical theater writer and a fixture on the New York cabaret scene. 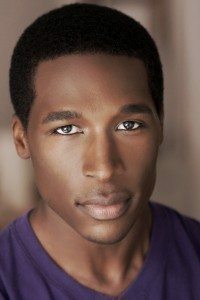 He has been nominated for two Drama Desk Awards, a Lucille Lortel Award, and is the recipient of an Ed Kleban Award, a Jonathan Larson Award, an ASCAP Harold Adamson Lyric Award, and a MAC John Wallowitch Songwriting Award. Joe’s songs appeared on Season 2 of NBC’s “Smash” and his writing has been featured in The New York Times and The Dramatist. 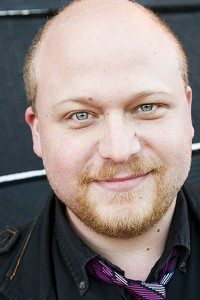 He is the author of The Black Suits, Be More Chill, the rock and roll Spaghetti Western musical Bloodsong of Love, ReWrite, Theaterworks USA’s The Plant That Ate Dirty Socks and We The People. Albums: Be More Chill (OCR), Things To Ruin (OCR) and The Joe Iconis Rock and Roll Jamboree all available on Sh-K-Boom/Ghostlight Records. Current projects: The Untitled Unauthorized Hunter S. Thompson for La Jolla Playhouse. Jason Sweettooth Williams (Book) is an actor, singer, writer and familiar face in the world of developing musicals in New York City. Broadway Bounty Hunter marks over a decade of collaboration with co-writers Joe Iconis and Lance Rubin. 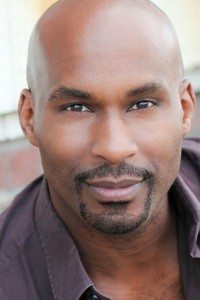 As an actor he has appeared in many Iconis musicals including Bloodsong of Love (Arts Nova), The Black Suits (SPF- The Public Theater), ReWrite (Urban Stages), THINGS TO RUIN (2nd Stage, The Zipper Theater), The Plant That Ate Dirty Socks (Theaterworks USA) and the upcoming Hunter S. Thompson musical for La Jolla Playhouse. He can also be heard on the THINGS TO RUIN Original Cast Recording and The Joe Iconis Rock n Roll Jamboree album, both on Sh-K-Boom/Ghostlight Records. He also recently appeared opposite Jackie Hoffman in Transport Group’s revival of Once Upon a Mattress. 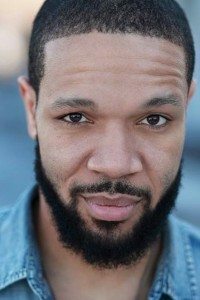 Jeffrey Page (Choreography) is an Emmy nominated choreographer and the winner of the 2011 MTV “Best Choreography” VMA for Beyoncé’s “Who Run The World video.” For over 8 years Mr. Page has been a part of Beyoncé’s creative team and recently his work was featured on The Formation World Tour and HBO specials. He was also a featured choreographer on Fox Television’s So You Think You Can Dance. 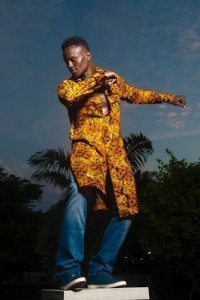 Under Bill T. Jones, Jeffrey was part of the award winning Broadway cast of Fela! Mr. Page worked alongside director Leigh Silverman and Tony Award-winning composer Jeanine Tesori to choreograph the hit Broadway musical Violet. Mr. Page directed & choreographed the all Japanese version of Memphis, which received glowing reviews throughout Japan and was nominated for the prestigious Yomiuri Theatre Award. Most recently Jeffrey was Associate Creative Director for Mariah Carey’s Sweet Sweet Fantasy European Tour. Paul Rigano (Associate Musical Director) is thrilled to be back in Pittsfield with Barrington Stage Company. 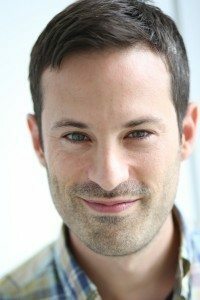 He served as music copyist on last year’s production of Nick Blaemire’s A Little More Alive, as well as music associate on Joe Iconis’ last production, Be More Chill with Two River Theatre Co. Paul is a composer and half of The Rigano Songbook with his brother and writing partner, David. They perform regularly at cabaret venues throughout NYC, videos of which can be seen at youtube.com/RiganoSongbook. Much love to his family and his magnificent wife, Lauren. Josh Millican (Sound Design) Selected NYC credits: Work at Arts Nova (Charlatan, Eager to Lose), HERE (Cloud), The New Ohio, Marymount Manhattan, NYU, and The Lee Strasberg Institute. Selected As Associate: Grey Gardens (CTG), She Loves Me (Broadway), Amazing Grace (Broadway/Chicago), An American in Paris (Broadway/Paris/Nat’l Tour), The Bridges of Madison County (Broadway/Williamstown/Nat’l Tour), Big Fish (Broadway/Chicago). Graduate of the Liverpool Institute for Performing Arts and recipient of the Sennheiser Achievement Award for Sound Design. Eric Southern (Lighting Design) Bio coming soon! Bobby Frederick Tilley (Costume Design) Bobby’s costume designs for theater include the World premiere of Rajiv Joseph’s Gaurds At The Taj (Atlantic Theater Company), Be More Chill (Two River Theater), Queen For A Day (Theatre at St. Clement’s), Taming Of The Shrew (Virginia Stage Company), The Power Of Duff (Geffen Playhouse), The Loneliness of the Long Distance Runner (Atlantic Theater Company), The Power Of Duff (Huntington Theatre Company), the World premiere of Stephen Karam’s Sons of the Prophet (Roundabout), All New People (2econd Stage), Thinner Than Water (LAByrinth Theater Company), Captors, Sons of the Prophet, and Circle Mirror Transformation (Huntington Theatre Company); The Pinter Plays: The Collection and A Kind Of Alaska, the World Premiere of Annie Baker’s Body Awareness, Birth and After Birth, 10×20, and The Butter and Egg Man (Atlantic Theatre Company); the World Premiere of Annie Baker’s The Aliens (Rattlestick), The Aliens (Company One, Elliot Norton Award for Outstanding Design) and Body Awareness (Speakeasy Stage Company), Lizzie Borden (The Living Theater, Drama Desk nomination), Top Girls (Act 1, MTC/Biltmore), Mel and El: Show & Tell (Ars Nova), Gaugleprixtown and The Most Lamentable and Tragical Historie of the Barber-Surgeons (Studio 42), The Ontological Detective (Blue Heron Arts Center), Red Angel (Williamstown), The Country Doctor (Marymount College); His costume designs for film include Hello, I Must Be Going, The Green, Four Lane Highway, Little Kings, and Rubout. Sara Barnes (Production Stage Manager) Off-Broadway (Selected):Straight (at Theatre Row), By the Water(Manhattan Theatre Club), Pageant (SAS Productions), Volleygirls (NYMF), Bloodsong of Love (Ars Nova), The Sonic Life of a Giant Tortoise (Play Company), Three Men on a Horse, Bedroom Farce (The Actors Company Theatre); Twelfth Night (Sonnet Repertory Theatre). Regional Theatre: Gypsy! (starring Karen Ziemba, Sharon Playhouse), I Promised Myself to Live Faster, Twelfth Night, Zero Cost House (Pig Iron Theatre Co.); Guys and Dolls, Saving Aimee, Memphis! Hello, Dolly! (5th Avenue Theatre). Paul Vella (Assistant Stage Manager) At Barrington Stage: Kimberly Akimbo, Engagements, Shining City, The Golem of Havana (Assistant Stage Manager), Muckrakers, Bashir Lazhar. Off-Broadway: Death for Five Voices with the Prospect Theater Company. 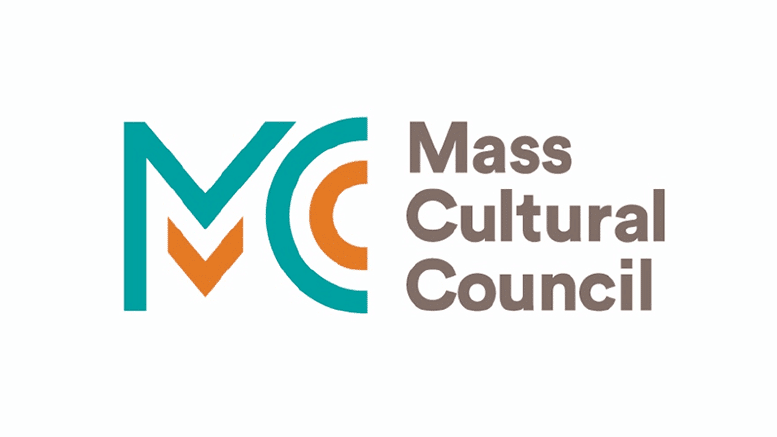 Regional Theatre: Trinity Repertory Company, Swine Palace Productions, Ocean State Theatre Company, Merry-Go-Round Playhouse, Little Theatre of the Rockies. 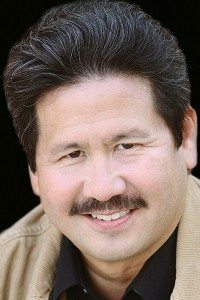 Paul is a graduate of the University Northern Colorado and a proud member of Actor’s Equity Association. 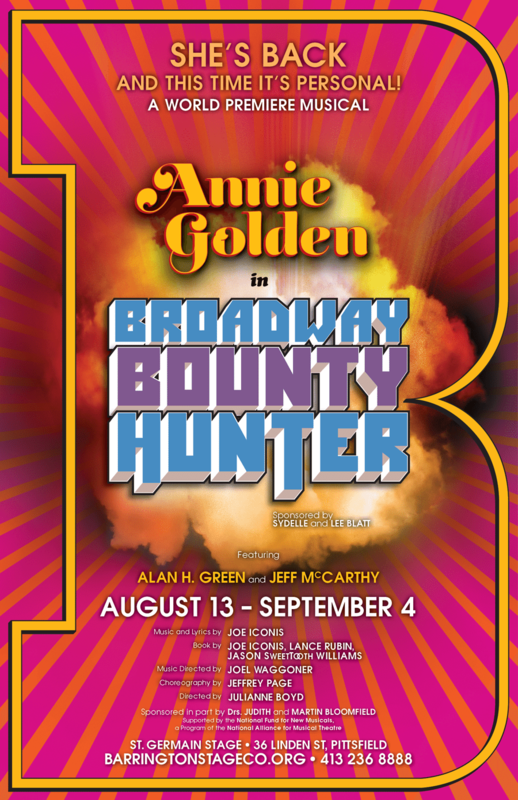 Inspired by the exploitation movies of the 1970s (think Shaft or Enter the Dragon), this exciting new musical follows a 60-ish-year-old, down-on-her-luck actor Annie (starring Annie Golden) as she’s asked to become a bounty hunter and capture a South American drug lord. With a score rich with R&B and Funk (and a splash of ‘80s Rock ‘n’ Roll), the musical follows a woman of a certain age as she tries to find the inner strength she needs to save theatre and realize her true badass identity. Pure, unadulterated fun.